Leave all of your worries aside when you walk through the door at Texan Allergy & Sinus Center. Our team of allergy specialists are ready to welcome you and help you feel at ease. Patients are our top priority and we strive to make your experience as comfortable as possible. 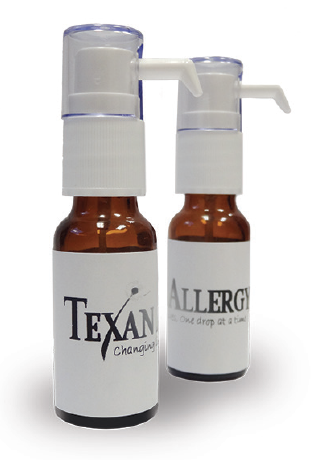 At Texan Allergy & Sinus Center, we have the ability to test and treat patients from adults to children as young as 4 months old, for up to 58 environmental and seasonal allergens. Patients under 2 years will have a limited testing panel. Skin tests (also known as prick or scratch tests) involve lightly pricking the skin on the back or forearm with a tiny drop of the liquid allergen. This is not painful. Some patients even think it tickles! After about 20 minutes, we’re able to see the results by measuring the reaction on the skin. This can range from just a bit of redness to a raised “mosquito bite” looking bump. A raised bump generally indicates an allergic reaction and that treatment may be necessary. We also offer blood tests as an option, but skin tests give same day results and are usually more accurate. According to the American Academy of Allergy, Asthma, and Immunology, allergy testing is generally safe and effective for adults and children of all ages. The allergen extracts or vaccines used in allergy tests performed by allergists meet U.S. Food and Drug Administration (FDA) requirements. By determining which allergens affect you, we’ll be able to treat the source of the allergy with either allergy shots or allergy drops. Allergy drops (also known as sublingual immunotherapy) involve daily drops under the tongue, rather than an injection. This process has been used safely for over 100 years with both children and adults.